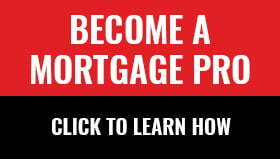 Since 2008 Finance MinisterJim Flaherty has dealt the mortgage business plenty of pain for promised long-term gain. So when news broke Tuesday that he quit, a wave of relief spread throughout the industry. Speculation aside, this week’s Globe column reviews some of Flaherty’s impact on Canada’s mortgage landscape. 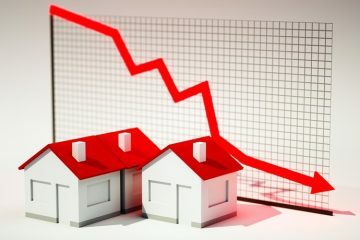 One political analyst that we saw comment suggested that new mortgage policies, if any, would probably come from the Prime Minister’s office, given the election next year. Moreover, Minister Oliver would need time to get up to speed, so near-term changes are unlikely. Flaherty’s impact on the mortgage industry was disastrous, had little or no impact on house prices and was apparently driven by ideology rather than any actual evidence of a need for rule changes. The Harper government clings to power by scaring the @#!^ out of Canadians on a series of issues including debt, crime and immigrants. We may have a debt problem in Canada but it is consumer debt and not mortgage debt. Sadly the mortgage industry got the black eye anyway. I think Mr Flaherty took on a air of something a bit grander than he actually is. For all that hapened in the past 6 years, if they he had not done anything to begin with, we would have been just as well off. I posit that the recent internationally acclaimed wins chalked up on the Canadian financial file, have been largely the result of the very venerable Mark Carney this past half-decade, rather that Mr. Flaherty, over his spotty 8-year tenure. Overall, the file has been managed masterfully. We have been so fortunate since 2008 in avoiding the economic suffering other countries have experienced and yet we act as if the man in charge of the file had nothing to do with it. Even those who realize we have been very fortunate give the credit to Carney. In Canada no matter what good you do; you can be sure others will try to pull you down. I agree with Mr. Butler. He has done a good job, should be given some of the credit for how fortunate we have been with our economy. Mortgage debt is more dangerous since rates are up for renewal every 5 years or so and usually larger than credit card or personal loan debt. Credit card debt interest is already high for most people at ~20%, so it won’t change too much if interests rates go up, but 2% interest raise on mortgages will have major effects on most people who have over $200,000 mortgages. I am not saying that it would bankrupt everyone, but an extra ~$400/month on debt will make people cut somewhere else. Now, because of the reasons expressed above, I don’t think interests rates will move too much over the next few years. What did Flaherty do to help the economy? I don’t think he did anything that any other finance minister wouldn’t have done.